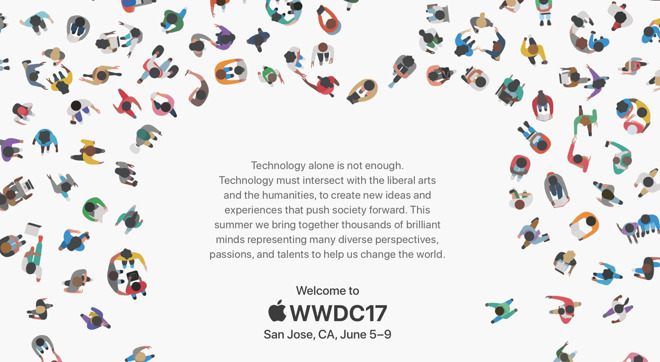 A week away from WWDC17, there's much anticipation about what Apple might show: new Macs, iPads, a Siri Speaker, future insights on the company's vision for iPhones, Apple TV, Health, Augmented Reality and Artificial Intelligence. Yet even before anything is revealed at WWDC, there's already a tremendously vast presence in computing that appears to have gone unnoticed. After a quarter century of writing about the tech industry for the Wall Street Journal and then Recode, Steve Jobs' go-to columnist Walt Mossberg published his last regular piece looking at the future of the industry. Titled "The Disappearing Computer," it described an apparent lull in the consumer tech world that would soon give way to Ambient Computing, where everything has a computer in it, but nobody really notices because in the future, the experience will be more important than the gadget. "Soon, after a brief slowdown, the roller coaster will be accelerating faster than ever," Mossberg wrote, "only this time it'll be about actual experiences, with much less emphasis on the way those experiences get made." The article probably should have been published in 2005. Back then, it was actually true, as Mossberg wrote, that "As I write this, the personal tech world is bursting with possibility, but few new blockbuster, game-changing products are hitting the mainstream. So a strange kind of lull has set in." In 2005, Apple had been dutifully cranking out iPods for four years, and its latest models were essentially just introducing incrementally larger hard drive capacities. 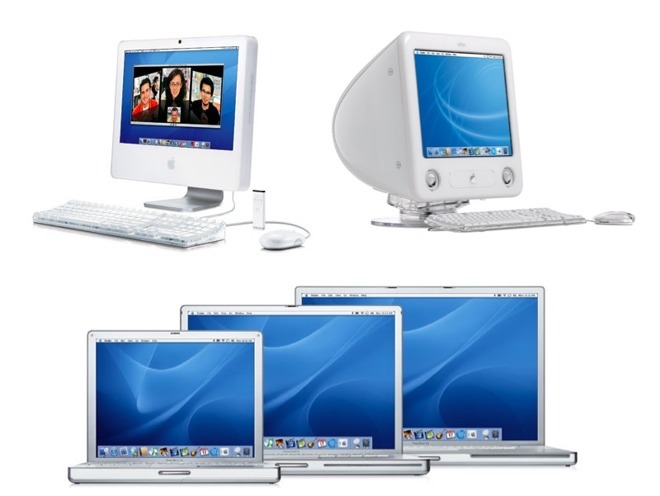 The most interesting thing about Apple's Macs was that the iBook was now being sold in two screen sizes and the more expensive PowerBook was being sold in three, each model slightly faster than the previous year's. Incremental enhancements to iMacs and PowerMacs were equally boring, and both had reached an apparent silicon pinnacle with the PowerPC G5 processor. Just to underscore how unexciting Apple was in 2005: the company was still selling its bulky Cathode Ray Tube eMac to schools. The least interesting thing about Apple--at least according to most tech commentators--was that despite a failure to introduce new and exciting product categories, its revenues were taking off. In fiscal 2004 it brought in $8.28 billion, but in 2005 that figure had dramatically jumped to $13.93 billion. But in the capital intensive world of high tech, who cares about money? Outside of Apple, Windows PCs were chugging along at an even more boring pace. Microsoft had been struggling for years on Longhorn, its own Copland vaporware that was supposed to revolutionize the desktop computer but was being incrementally marginalized by Apple's furious pace of new annual releases of macOS X. Since delivering XP in 2001, Microsoft had shipped 0 significant consumer Windows updates compared to 5 major releases of macOS X in the same five years. Outside of the Windows lull, Microsoft's Bill Gates had headlined CES each year showing of a series of hardware flops: Microsoft TV, Windows Powered CE devices, Mira Smart Displays, Tablet PC, SPOT watches and Portable Media Center music players. Across all those years, its only real success was Xbox, a product that sold at a loss to protect Windows PC gaming from encroachment by Sony's PlayStation. On the PC's hardware side, Intel's x86 was limping along with the NetBurst architecture of Pentium 4, which despite being clocked very fast and generating tremendous heat, was not actually getting faster. Intel had also just dumped out its previous flop with Itanium, the result of years of efforts to replace x86 with a more modern, all new processor design. The once exciting PowerPC alliance between IBM and Motorola--the last major challenge to Intel's x86--had all but whimpered away into obscurity. By 2005 even pedestrian AMD and its more practical alternative to Itanium (Athlon 64, a 64-bit version of Intel's old x86) was looking interesting. The tech world had slumped into becoming an extremely boring place, stuck in, as Mossberg just wrote, a "strange kind of lull." And strangely enough, this lull featured all sorts of product announcements, new form features, over-boosted specs and the kind of "idea innovation" that columnists seem to clamor for. Yet none of it appealed to real people. What was selling were old, boring commodity PCs, and of course Apple's incrementally refreshed iPods and Macs. Back in 2005, Mossberg's piece would have been retro-prophetic: "just because you're not seeing amazing new consumer tech products" he just wrote, "doesn't mean the tech revolution is stuck or stopped. In fact, it's just pausing to conquer some major new territory. And, if it succeeds, the results could be as big or bigger than the first consumer PCs were in the 1970s, or even the web in the 1990s and smartphones in the first decade of this century." Outside of Apple, everyone else was also trying to escape the slump; they were just focused on the profits of the products of the present rather than being able to envision the potential of the future. Microsoft was furiously working in public to turn Longhorn into a shippable Windows Vista--an effort that included a very public attempt to wipe Google search off the PC desktop. However, that resulted in a new enemy, as Google rushed to acquire Android and fund an alternative web browser as a strategy for working around Microsoft's PC platform monopoly. Microsoft was so focused on the desktop PC that it failed to capitalize on mobile, which was poised to explode and rapidly outpace the old PC. 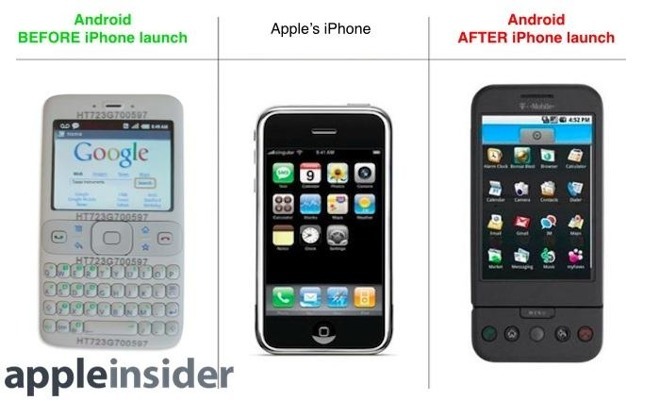 At the same time, Google's Android strategy wasn't so brilliantly focused on the futuristic potential of mobile. Like Microsoft, it was conservatively seeking to protect its current business: paid placement search advertising revenues. So while Android eventually helped to erase any remaining interest in Microsoft's Windows Mobile platform, it did not really help Google capitalize on the emerging shift. It wasn't until more than a decade later (Q3 2016) that Google's revenues from mobile ads began to finally exceed its global PC ad business. And relative to Apple, Google has never materially profited from the massive sales of mobile hardware over the past decade. Like Microsoft, Google remained stuck with a focus on the PC, where it had been making most of its money. Intel was desperately scrambling for a replacement to Itanium and NetBurst. It found one in its Israeli R&D in the development of the Core microarchitecture, which abandoned the newer but disappointing NetBurst and reverted back to a ten year old P6 microarchitecture first used in the Pentium Pro. Yet Intel was also so focused on making PC chips that it, too, failed to see the potential of mobile. In contrast, while there was much media excitement for Microsoft, Google and Intel back in 2005--and little more than critical pessimism about Apple's prospects--it was Apple that turned the lull around in the middle of 2000s. The foundation of that turnaround included the ballooning profits from iPods and Macs, but also prescient investment in the future of mobile devices. Apple didn't "just walk in" with the iPhone. It had spent the previous seven years building mobile Macs and handheld iPods, constantly refining its software technologies and hardware design. The iPhone built upon a merger of the Mac software platform and iPod hardware expertise. 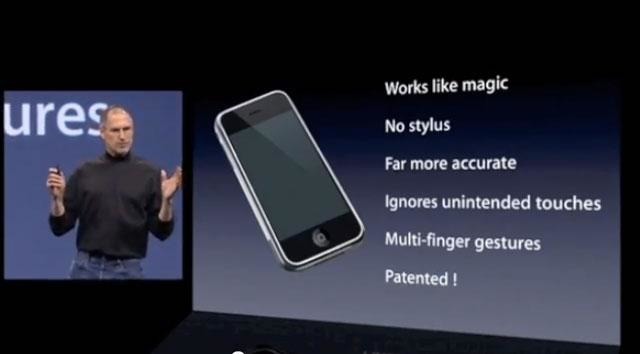 The new iPhone also wasn't the only thing Apple was working on. It had been maintaining an internal x86 version of macOS X (derived from Steve Jobs' NeXT, which had been ported to run on x86 back in 1993) as a hedge to IBM dropping the ball with PowerPC. In 2005, Apple announced that it would be aggressively migrating its entire Mac lineup to Intel's new Core processors, which offered the speed of PowerPC paired with greater power efficiency, the best "performance per watt." Further, just as Intel had stepped back into the past to break out of its rut with NetBurst, Apple had to revert its Macs back into the 32-bit world of the initial Intel Core chips to progress beyond the already 64-bit design of current PowerPC chips. The work of converting macOS from the 64-bit PowerPC to a 32-bit Intel Core also prepared Apple for another conversion that would borrow from the past. In the early 1990s, Apple had worked with British PC maker Acorn to turn its desktop ARM RISC chip into an power efficient chip to power the 1994 Newton MessagePad. 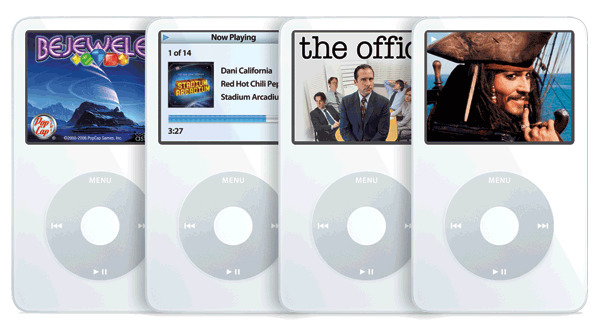 A decade later, Apple returned to using ARM mobile chips in its iPod line. After six years of iPods, the ARM architecture had developed into a form potentially capable of running a scaled down macOS, and Apple was now extremely well versed in porting its Mac platform to new architectures, even less capable ones. Rather than being fixated on its past and present business of building desktop PCs, Apple had also been working to deliver what Mossberg described as today's potential future: delivering "actual experiences, with much less emphasis on the way those experiences get made." Specifically, Apple took what had emerged as the most important app on the PC desktop--the web browser--and began working on how to deliver it without the legacy of the Mac. Internally, this project was called the Safari Pad. Rather than rushing to market a tablet product that the world might not understand or adopt, Apple instead repackaged its touch-based, scaled-down micro-Mac platform as a phone, and Jobs famously introduced it in 2007 as "a widescreen iPod, a phone, and a breakthrough Internet device." His audience appeared to cheer more for the familiar idea of a new iPod and a new competitor to other phones, while failing to fully grasp what would actually become the most valuable part of the new iPhone: its ability to work as a networked, mobile computer. If Apple had introduced Safari Pad, the world likely wouldn't have known how to respond at all. In fact, three years later when Apple did introduce the original iPad--after firmly establishing iPhone as product and iOS as a platform--there was still much skepticism and doubt, and plenty of criticism of the new device being "just a big iPod touch" and "lacking Mac features." Despite being wildly successful--earning more money for Apple than its parallel and growing Mac sales, and building into an installed base of users four times greater than the Mac itself--there are still people who have decided the iPad is going away or was just a short term fad. Even Mossberg just wrote that, "Tablets rose like a rocket but have struggled to find an essential place in many people's lives." "Death is very likely the single best invention of life"
In 2005, Jobs also delivered a powerful commencement speech at Stanford University where he noted, "Death is very likely the single best invention of life. It is life's change agent. It clears out the old to make way for the new." The year prior, had just experienced his own brush with death after being diagnosed with cancer that was initially expected to end his life within 3-6 months. He survived to live another six years, long enough to see Apple's iPods and Macs be eclipsed by sales of iPhones, and for the Safari Pad concept to turn into a device that outsold all the Windows Tablet PCs ever sold in its first year. Three years later, something happened that Jobs probably wouldn't have predicted: iPhones grew into a larger "Safari Pad" form factor that ate into iPad mini sales, which at the time made up a large number of the surging iPad volumes Apple had been selling at its tablet peak in 2014. Suddenly Apple began selling significantly fewer iPad minis and massively more iPhone 6 Plus models. The media has bizarrely decried both as problematic: too much of Apple's revenues from from iPhones, and iPad sales are down. But really, Jobs observation about death also applied to Apple's brand-cannibalism. The new plus-sized iPhone was the new, and iPad minis were the old. Fortunately for Apple, iPhone Plus sales are far more lucrative than iPad minis. According to Mossberg, "the biggest hardware and software arrival since the iPad in 2010 has been Amazon's Echo voice-controlled intelligent speaker." That may be true in terms of media-hyping by The Verge and other cheerleaders of Alexa giving the product concept massive mindshare. It's not true in terms of units, revenues or real world impact. 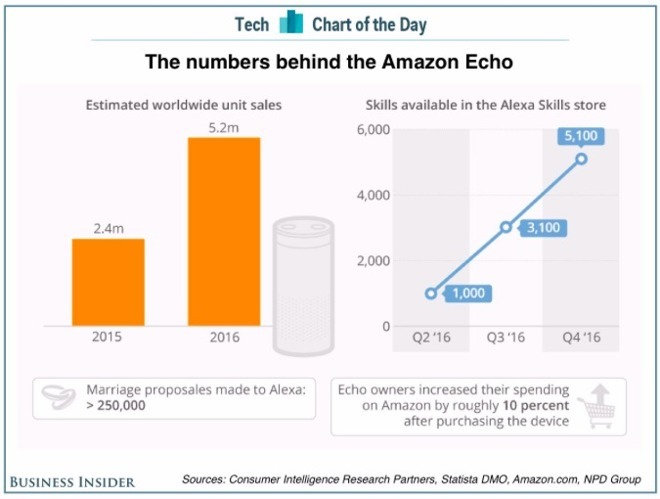 Launched at the end of 2014, Amazon's Echo sold an estimated 2.4 million units in 2015, and 5.2 million units last year. Amazon launched Echo as a home speaker after its failed Fire Phone, which similarly aspired to deliver voice-based features. Next to iPhone 6, Apple also introduced a device that incorporated its Siri voice assistant. 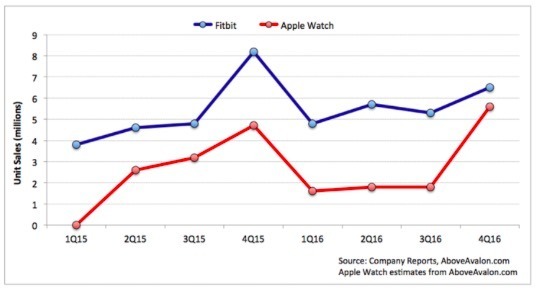 Mossberg could certainly say he thinks Amazon's Echo "delights" or "performs" better than Apple Watch for voice-based tasks, but "the biggest hardware and software arrival since the iPad in 2010" would more accurately be Apple Watch, which IDC noted selling 3.6 million units in a single quarter of its 2015 launch year. Full year sales were four times the units of Amazon Echo. In February, The Verge itself reported that Apple Watch sold 6 million units in the winter quarter of 2016. Also note that Apple Watch Average Selling Price is around $400, while the most expensive Amazon Echo model ranges from $140 to $180, and the cheaper Dot costs $50. The revenues of Alexa hardware that so many pundits are crowing about are obviously vastly smaller than Apple Watch, which many have written off as barely worth mentioning. That's insanity. Compare the presentation of Amazon's repackaging of its failed Fire Phone initiative into the body of a much cheaper landline box that sells in the low millions to Apple's introduction of Apple Watch as a premium-priced new wearable that sells as an integrated accessory to the iPhone and AirPods. Bizarrely enough, Mossberg doesn't even mention Apple Watch (or AirPods) anywhere in his article examining the future of "Ambient Computing," which he descries as being where "the technology, the computer inside all these things, will fade into the background." Under the heading "Wait For It," he describes the coming emergence of "greater and more distributed computing power, new sensors, better networks, smarter voice and visual recognition, and software that's simultaneously more intelligent and more secure," and later says "they won't be in your way, or perhaps even distinguishable as tech devices." 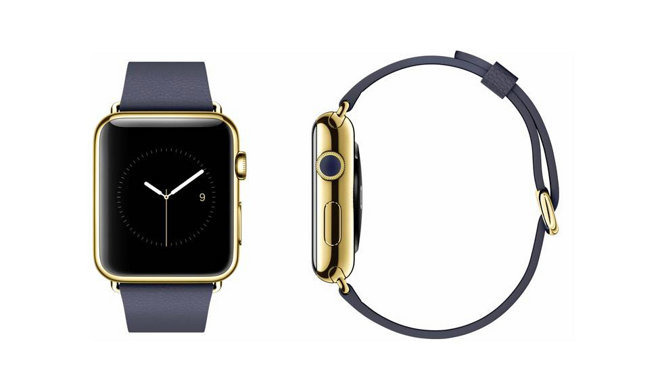 Those words all describe Apple Watch, the "disappearing computer" that doesn't even look like a "tech device." It went on sale back in 2015. 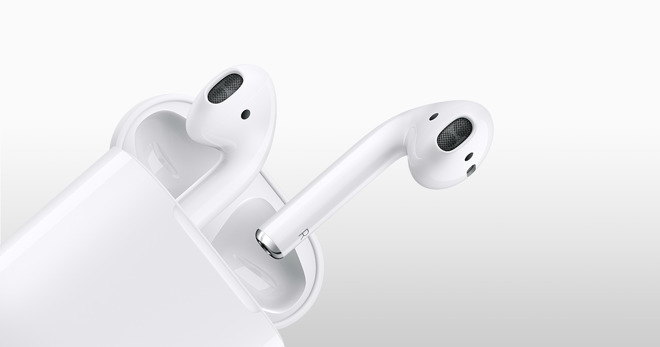 AirPods, Apple's second wearable, sold a million units in the last two weeks of 2016. Apple's wearable Ambient Computing devices are so big that many people can't even see them! There's lots of talk about how Amazon Alexa, or perhaps Google Assistant, provide better or more conversational, contextually aware voice services compared to Apple's Siri. But all of them are cloud based services that can improve on the server end. Apple's installed base of Siri-supported devices are now greater than 1 billion, including Macs, iOS devices, Apple Watch, AirPods and CarPlay vehicles. Amazon has a few million fixed appliance users, and Google just reported 100 million phones running its voice service. One week before WWDC is a poor time to place bets that Apple isn't going to ever improve Siri. Additionally, Apple's audience is global. Amazon's is mostly limited to the United States. More importantly, voice assistance is just one piece in the expanding world of Ambient Computing. Amazon lacks the critical element of a phone business or even a substantial hardware business with a real development platform, while Google has a huge platform of mostly low end phones and very poorly selling wearables. Apple has not only already sold an integrated ecosystem of devices with a coherent development platform, but is also investing in the same kinds of future mobility technologies that enabled it to leapfrog the industry twelve years ago. That includes a custom silicon design team that has vaulted iPhones and iPad Pro ahead of other phones and tablets, and has reached back in time to recycle previous year's high-end chip cores as today's low-power brains for powering wearables like Apple Watch, Apple TV and for enhancing and differentiating products like the new MacBook Pro with its iOS-like Touch Bar and Touch ID. Even the reports of Apple's development of a "Neural Engine" for accelerating AI is being coached as an attempt to "catch up" with cloud AI of Google and Amazon. But Apple's approach of local hardware acceleration on a smart device is very different from the thin client networked speaker that collects data for Amazon or Google. Apple's "Neural Engine" is likely related to its ongoing efforts to design a specialized GPU, building on its history of GPGPU with OpenCL, which was then folded into Metal to make it easy for developers to accelerate a variety of specialized math using a parallel-oriented GPU design. Google's own Tensor Processing Engine for accelerating machine learning tasks is intended for installation in a data center, a very different approach compared to incorporating specialized hardware in a mobile smart client device. Smart devices with powerful brains are Apple's strongest suit, and its latest work appears to indicate that if anyone can deliver real Ambient Computing, it's likely the company that envisioned and mastered mobile Macs, iPods, iPhones, iPod, Watches and AirPods. And really, that future is already here.